Did you know Dynamics offers therapy for TMJ and Jaw pain? If you are experiencing pain while biting or chewing, tenderness in your jaw, pain in and around your ears, or headaches, then you know what it feels like to have jaw pain. 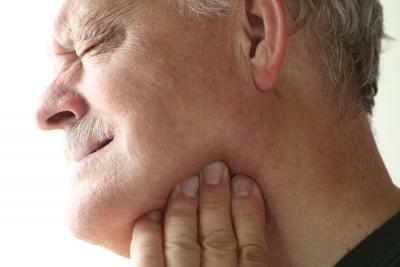 There are a number of factors that can cause jaw pain, making it hard to treat. Possible causes of jaw pain include: toothaches, infections, sinus problems, gum disease, teeth grinding, arthritis, or jaw problems related to injuries. sore jaw muscles, pain in the cheeks or temples, jaw clicking/ popping, difficulty opening one’s mouth, and/or locking of the jaw. To help you reduce jaw pain or TMJ pain so that you can regain your comfort and enjoy eating all your favorite foods, here are a few tips from your Physical Therapist. Speak to your physician or pharmacist about taking over-the-counter pain relievers like ibuprofen or applying pain relieving gels that contain active ingredients like Benzocaine to the affected area. This form of treatment provides temporary relief and should not be used long term. Place a hot, damp cloth on your jaw and keep it there until the cloth is no longer hot. Applying heat to the jaw helps relax the muscles by increasing blood flow to the affected area. If your jaw has started to swell or is significantly swollen, apply cold packs to help numb jaw pain and reduce swelling. Avoid stress factors that may cause you to grind your teeth or clench your jaw as this can damage joints and muscles in the jaw. Take excessive pressure off of your jaw muscles and joints by eating soft foods and avoid chewing gum. Try to avoid clenching, tensing, or grinding your teeth. Clenching is one of the most common causes of TMJ pain. Relax your muscles by applying moist heat to your jaw twice a day for at least half an hour, or try gently massaging the muscles in your cheeks and temples. If your TMJ pain is the result of an injury, ice packs can be applied to the area to reduce swelling. For more tips on how to safely and effectively reduce your jaw pain, talk to the trained, licensed Physical Therapists at Dynamics Physical Therapy. One of our Physical Therapists would be happy to assess your current jaw pain and create a program tailored specifically to your needs and goals. Call Dynamics Physical Therapy to make an appointment or to ask any questions you may have. Rollman A, Visscher CM, Gorter RC, Naeije M. Care seeking for orofacial pain. J of Orofac Pain. 2012; 26(3):206-14. Tuz HH, Onder EM, Kisnisci RS. Prevalence of otologic complaints in patients with temporomandibular disorder. Am J Orthod Dentofacial Orthop. 2003; 123(6):620-23. Schiffman E, Ohrbach R, List T, et al. Diagnostic criteria for headache attributed to temporomandibular disorders. Cephalagia. 2012; 32(9):683-92. Kluemper GT, Hiser DG, Rayens MK, Jay MJ. Efficacy of a wax containing benzocaine in the relief of oral mucosal pain caused by orthodontic appliances. Am J Orthod Dentofacial Orthop. 2002; 122(4):395-65. Hersh EV, Stoopler ET, Secreto SA, Derossi SS. A study of benzocaine gel dosing for toothache. J Clin Dent. 2005; 16(4):103-8.